Filmmaker Dave Ash has made a film that is damn hard to talk about. What is worse the reason I can't easily talk about the film is the same reason that the audience is going to be split on the film. 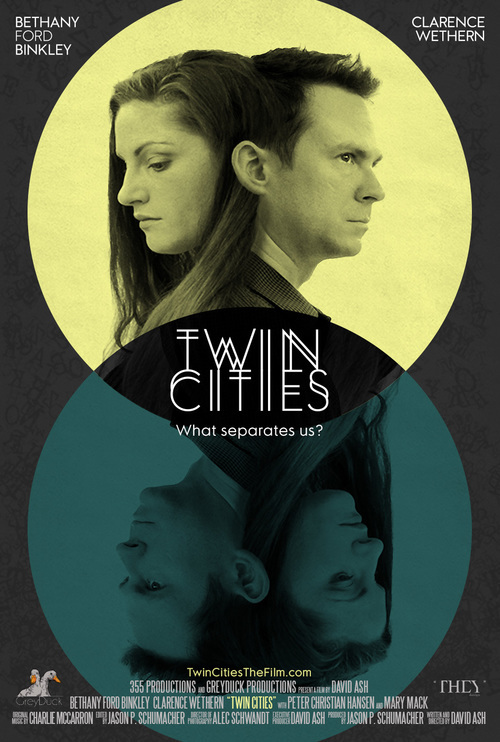 TWIN CITIES is a film that doesn't spoon feed you everything and which you can't assume anything. It is a film that is intelligently plotted and heading in a certain direction which you can't see at the start- which is going to annoy the hell out of the majority of people who want their films and homogenized. The short synopsis on IMDB says: "When a computer programmer (John) discovers he has a terminal illness he must race against time to save his marriage and make amends for a squandered life." however there is a great deal more going on, not the least of which is the fact that much of the film actually focuses on John's wife, Emily...and it doesn't even hint at where the film goes from there. And it's the "from there" part, that is really key stuff to what the film is. Knowing what happens alters what you think about the film. I'm trying not to say too much because if you know what's ahead it will affect what you think of the present. I say this because after I finished the film I backed it up and started to go a second time and I realized that a second viewing was going to change what I said about the film because I would be talking from the position where I had all the details connected up. That would be fine for anyone who is reading this after they've seen the film, but not before. I wanted this to be my reaction to the fist go through. I should state that it isn't a twist or anything like that, simply it's the progression of the plot. It's one of those "oh now I understand" moments where it all falls together. Where it goes is the interesting stuff, but to discuss it kind of will lessen the impact of seeing it the first time..
To explain what the film is in terms of Unseen Films, this is the exact sort of a film the site was started to highlight- a small gem of a film that is going to be off the beaten path. Its a film that is worth searching out- though you don't have to look far since it is here on Amazon. It is wonderfully not a typical Hollywood film, but the work of a talent filmmaker with a unique vision that should be experienced.